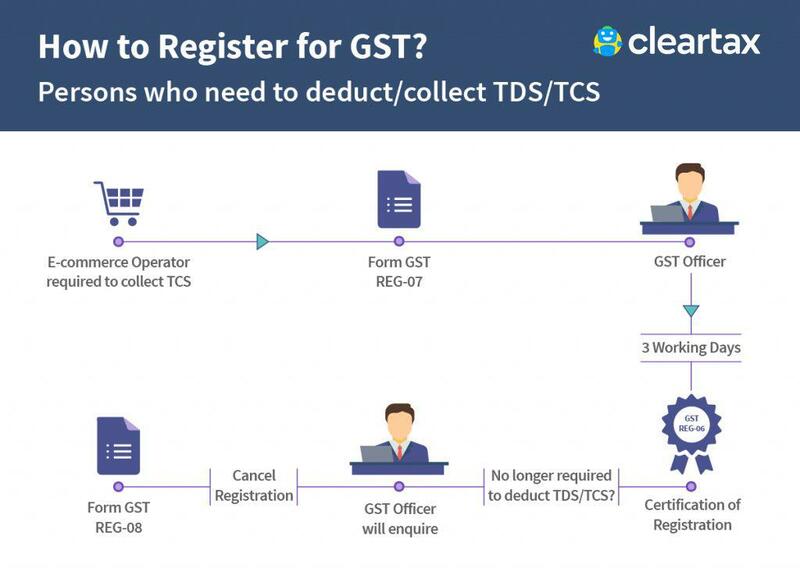 In this article, we have covered important details on the deduction of TDS and TCS under GST. Let us go through the process of GST registration for e-commerce operators and the forms required by taxpayers who have to deduct/collect TDS/TCS. GST Registration is now mandatory only for e-commerce operators who are liable to collect tax at source, as against the earlier provision of every e-commerce operator. TDS and TCS provisions under GST to be applicable from 1st October 2018. Previously, these provisions were applicable from 1st July 2018.
Who will collect TCS under GST? E-commerce aggregators are responsible under the GST law for collecting and depositing tax at the rate of 1% from each transaction. Any dealers/traders selling goods/services online would get the payment after deduction of 1% tax. All the traders/dealers selling goods/services online would need to get registered under GST even if their turnover is less than 20 Lakhs for claiming the tax deducted by aggregators. Note: Supplier of services, who is not supplying through an e-commerce operator liable to collect tax at source, having a turnover of less than 20 lakhs are exempted from obtaining registration under GST . Who will deduct TDS under GST? TDS is to be deducted at the rate of 1% on the payments made to the suppliers of taxable goods and/or services, where the total value of such supply, under an individual contract, exceeds Rs. 2,50,000.
with fifty-one percent or more participation by way of equity or control. c. Public sector undertakings as notified in the latest notification dated 13th Sep 2018. What does online information and database access or retrieval services mean? Online information and database access or retrieval services [OIDAR] means services whose delivery is mediated through the internet. The supply is essentially automated involving minimal human intervention and impossible without information technology. On whom will this apply? It has also been clarified that using the internet just to communicate or facilitate outcome of service need does not always mean that a business is providing OIDAR services. 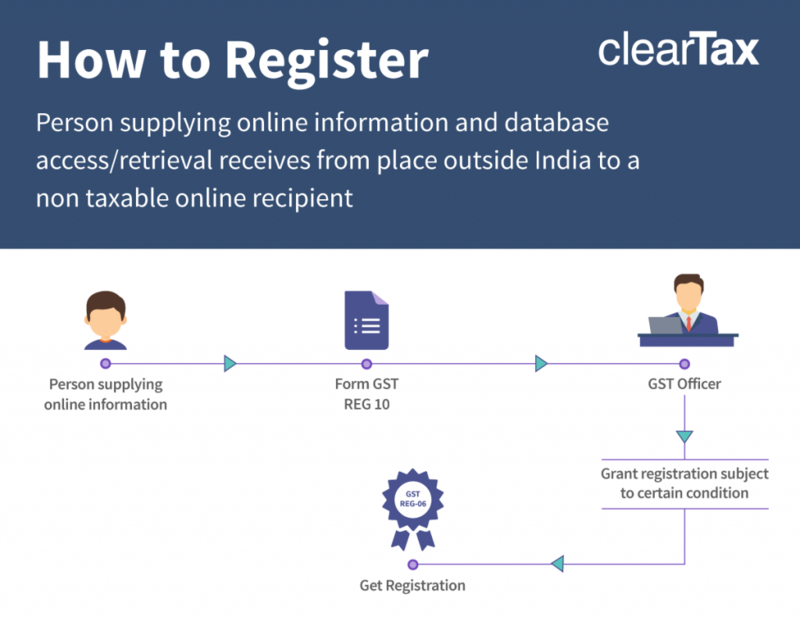 For more questions on registration under GST, please visit ClearTax. Here’s a link to download the government of India prescribed GST registration form.